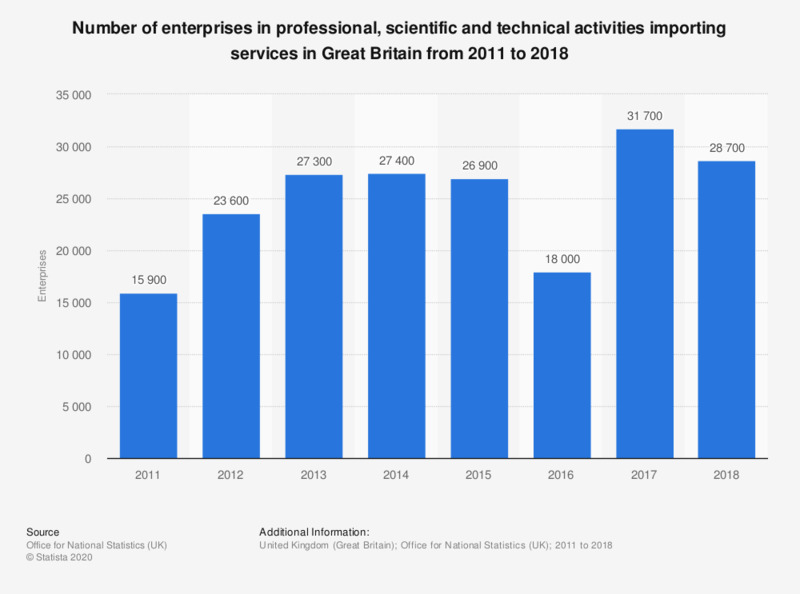 This statistics shows the number of enterprises in professional, scientific and technical activities importing services in Great Britain from 2011 to 2017. The number increased annually. The peak occurred in 2017 with 31,700 enterprises.